Winter is mountain–time in Canada. Skip the Cheetos and TV for ski time at one of Canada’s top ten ski resorts. Never skied? No matter. Love to ski? Awesome! Mountains across Canada have so much more than just skiing to offer guests this winter. If you are a skier or snowboarder then call it your peak play time in one of these alpine ski escapes, beckoning you for powder play-time now. Start in British Columbia, truly the place to ski the best snow and biggest mountains in Canada. 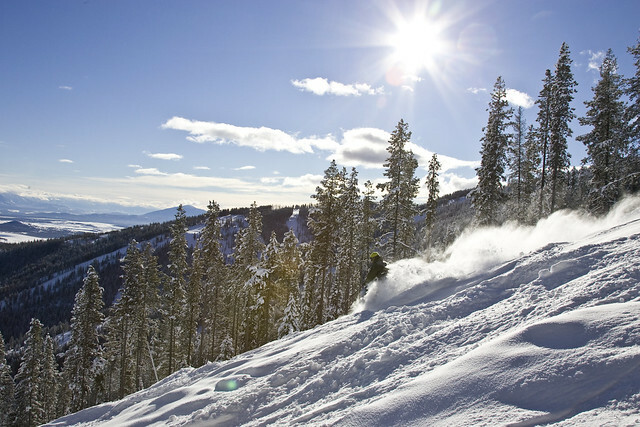 Heck, you can’t go wrong with a place recognized as the birth-place of Heli and Cat Skiing. Vancouver is the place where you could set sail and ski in the same day. Take in the culture and foodie experience and then it’s ski time… and Grouse Mountain is the place. Choose from day skiing or make turns at night. Set sail in the bay, and then schuss down a CNN Top 100 ski run (aka the Cut) with the backdrop of city lights at night. Now that is magical! 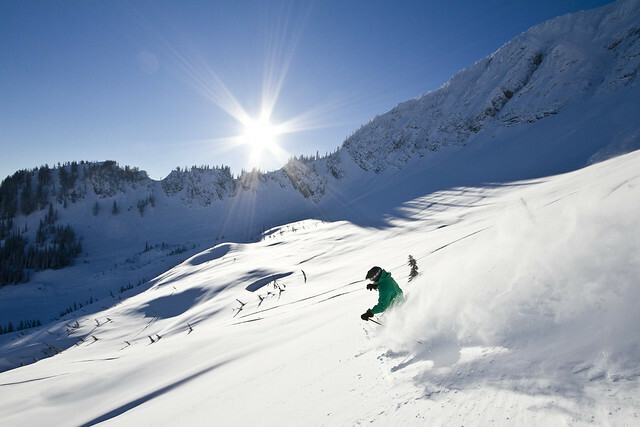 Next, take a road trip into the interior of British Columbia to experience the Powder Highway, recognized as the most famous snow region in North America, and filled with some of the best powder you’ll ever know. Whitewater, nestled in the Selkirk Mountains, near the lakeside town of Nelson, an interior BC gem, is known for powder, tree skiing and down-home style. 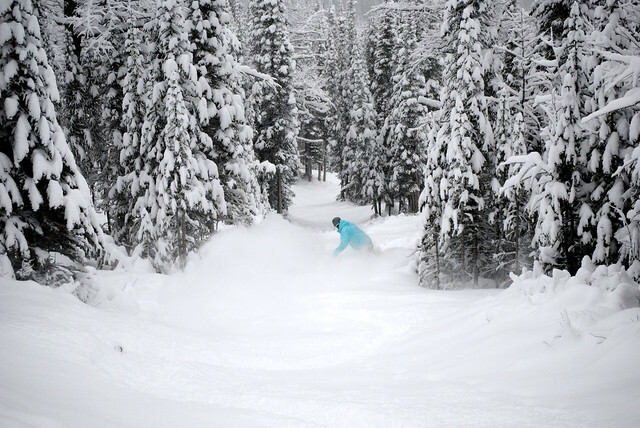 Locals are famous for calling-in “powder day” (not sick) when there’s a big snowfall. Pony up this winter at Kicking Horse Mountain Resort‘s new Family Ski Zone! Plus, it’s already known for being the Champagne Powder Capital of Canada, having the 4th biggest vertical in North America and some of the most progressive in-bounds skiing on the continent. Feel the vertical rush this season! Kimberley is home to a relaxing family atmosphere plus an expert or beginner’s paradise with astounding fall lines, the Black Forest glades and a dedicated learning area. Featuring youth rail jams, iron leg marathons and spring splash festivals, it’s also your romantic getaway with date nights in the Stemwinder Bar & Grill. Fernie is located high up on the Powder Highway, gets up to 37 feet of perfect powder per season and features stunning scenery with endless downhill thigh burning runs as well kids’ trails and beginner terrain! Named in Top 25 Ski Town in the World and Coolest Town in North America – it’s worth the visit to find out why! 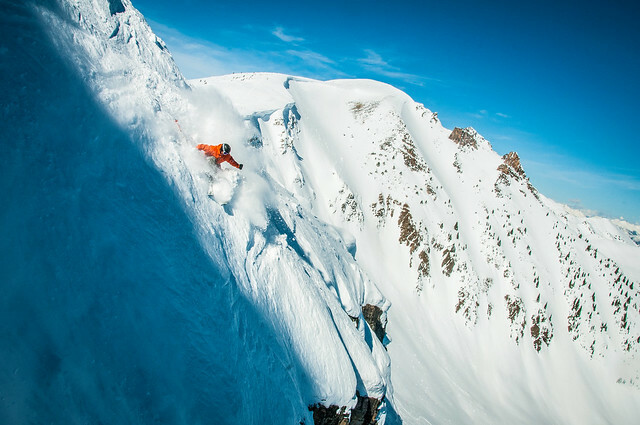 Next, head to the Alberta Rockies for some of the most epic turns you’ll experience this side of the Alps. Who could resist snow-filled bowls surrounded by the majestic Rocky Mountains? 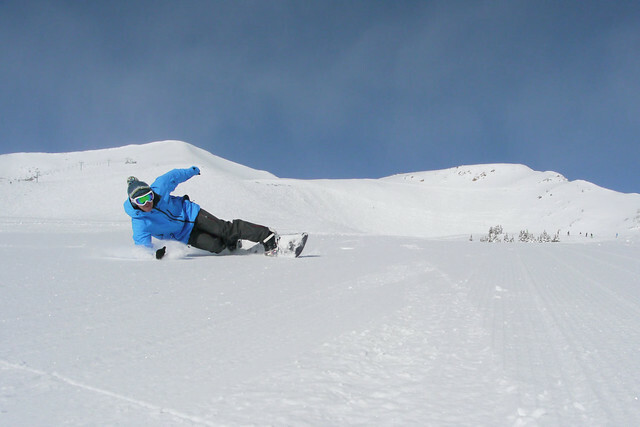 Marmot Basin is located in breathtaking Jasper National Park and boasts 3000 vertical feet and 1600 acres of skiing fun. Nakiska is Famous for being the site of the 1988 Olympics but so much has changed since then that you will want to see for yourself why this is Calgary’s skiing destination. New high speed lifts, new tubing and new ski trails are just a few of the exciting changes. Add in the incredible beauty of Kananaskis Park and you’ve got a hidden gem to try. Finally, go East for a classic skiing experience! Blue Mountain is action-packed with 42 trails ranging from race course to half pipe to cruiser fun for everyone. And that is just half of it, as non-skiers will enjoy the base area village full of shopping and activities like ice skating. Mont Sainte Anne and Stoneham are both located close to the nightlife and rich history of Quebec City, so make this city your perfect basecamp for shopping and skiing. The ski slopes of Mont Sainte-Anne rise from the shores of the mighty St Lawrence seaway giving you a skiing backdrop of spectacular views. 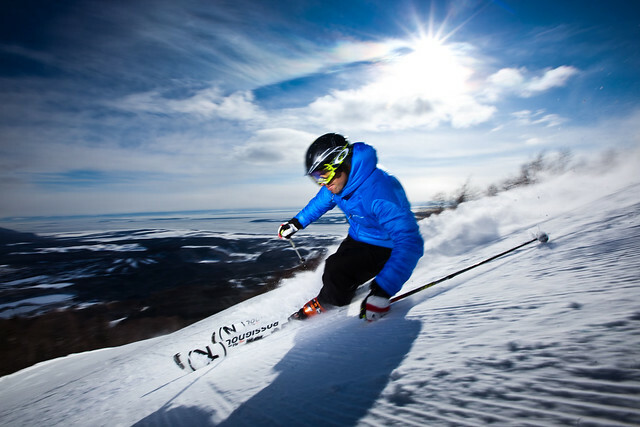 With incredible snow and the biggest mountain experience in the East, you will be tested to try what Ski Canada Magazine says is some of the best ski runs available. Renowned for an electrifying night-time experience, Stoneham offers something for all ages, including a perfect family destination with one of the best terrain parks in the East. This guest blog post is by Powder Matt Mosteller, a top North American Ski Blogger, Twitter ski expert, adventure & travel writer and author.